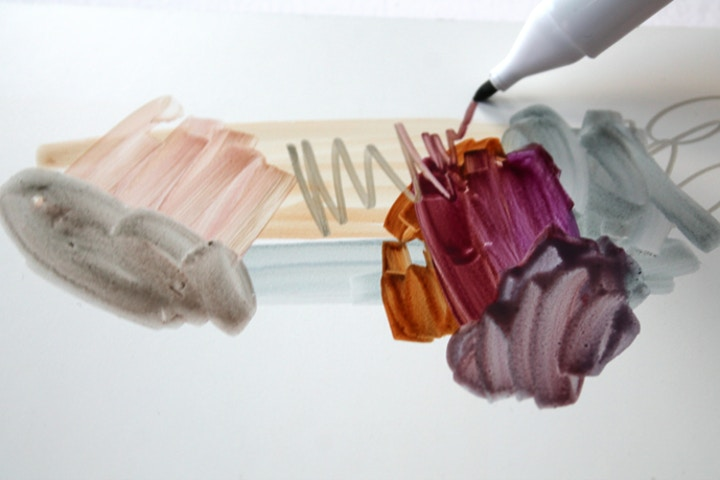 Explore the benefits of the Winsor and Newton Pigment Marker with the latest tips and techniques video. We've been seriously impressed with the Winsor & Newton Pigment Marker for some time now. 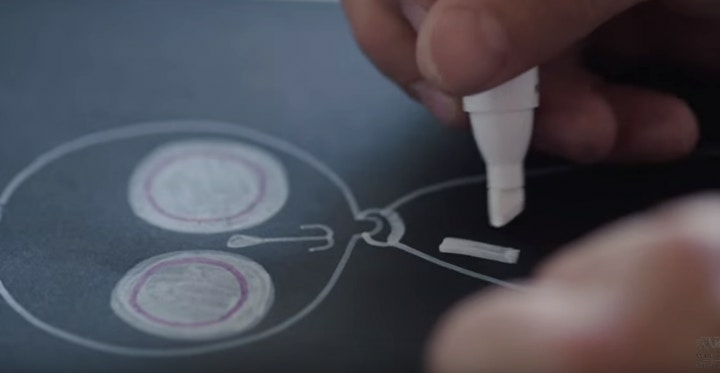 A pen so revolutionary, it's going to change the way people use markers forever. Ergonomically designed for maximum comfort (you'll be able to draw for hours! ), their lightfast colours will last a lifetime, and you can use them like paint, mixing and blending the colours. With such unique characteristics, it’s important to think about which surfaces you'll be using to get the best results. Such groundbreaking markers would offer limitless possibilities. So here at Cass Art we've investigated which surfaces you can use with the Pigment Markers, for optimimum results. Read on to find out which ones you might want to experiment with. Winsor & Newton have produced a specific paper available in a sketchpad: Winsor & Newton Pigment Marker Paper. Unsurprisingly, it's been specially designed with the Pigment Markers in mind. The 75gsm paper allows for maximum blending and for colours to be re-worked and mixed even once they have dried. Available in A3 and A4 sizes, the paper's unique coating means the colour floats across the surface, giving you unrivalled control and the ability to mix the pigment like paint. Already a surface widely used by students, illustrators and designers, 3mm or 5mm white foam board works extremely well with the new Pigment Markers. It offers a more rigid support than the Winsor & Newton’s Pigment Marker Paper and allows the ink to flow and glide across its non-absorbent surface. The pigmented colour sits on the surface rather than sinking in, as it isn’t porous, and this means the colour can be easily blended, lifted and reworked even once dry. Many of the panel surfaces from Ampersand such as Claybord or The Artist Panel Primed Smooth are absolutely perfect for the vibrant, lightfast colour of the Pigment pens. With immaculately prepared and smooth textures, they're a real pleasure to work with. Their durability also means they can withstand the 100-year lightfastness guarantee that Winsor & Newton offer with the markers. Plus, to make life easier, the cradled panels are ready to hang and display, just like a canvas, so you can paint away with the Pigment Markers and have a finished work ready to display. You can use the Winsor & Newton Pigment Markers on primed canvas or linen. The slight texture of the canvas will show through the marks, offering a granular effect. With canvas as the base, this may encourage you to introduce other media like pencils, acrylic or even gels and mediums over the top of the pens - take a mixed media approach and see what happens! 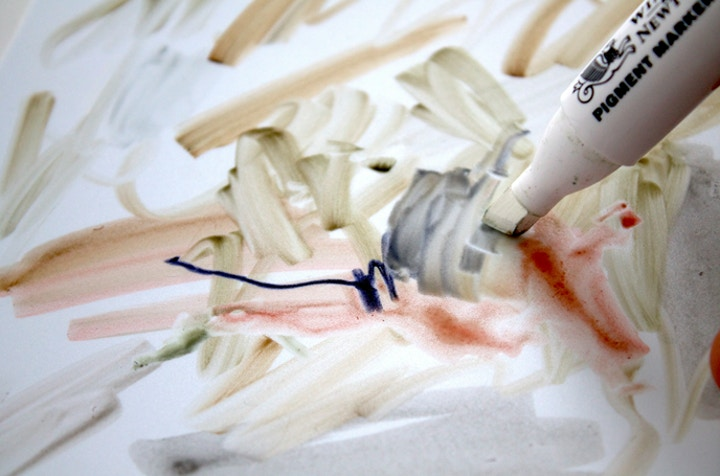 For best practice the canvas or linen surface should be smooth or lightly sanded, just to take care of the marker nibs. Tracing paper is a similar weight to Winsor & Newton’s Pigment Marker Paper, and can be used for different but just as exciting results. Use the Cass Art Tracing Paper Pad and the marker colour will have a subtler apperance, and you can mix the ink with the unique opaque White Blender for greater effect, using the paper itself as a mid tone. The tracing paper surface could also be mounted onto another surface, either whilst you work or once finished, offering a more durable surface and backing layer to the work. The White Blender is one of the most unique things about this new range of Pigment Markers. And thankfully it means you don't need to work on just light coloured surfaces! You can achieve great results by building up layers, using the White Blender at first and then working over the top with other colours. The Daler Rowney’s Canford Card Black Pad is great for experimenting with dark to light approaches. Give it a go. As well as the specially produced graphic and fine art surfaces, there are also a number additional surfaces that - perhaps unexpectedly - create great results with the Winsor & Newton Pigment Markers. White High Impact Polystyrene, produced for vacuum forming, is nicely rigid and supports the colour, allowing it to sit upon the surface for blending and reworking. Polypropylene, in a slightly off white colour, can also be used to great effect. You could also try working on Perspex or Acetate for a whole host of other effects and techniques. The Winsor & Newton Pigment Markers will perform like any other normal marker if you use them on conventional paper pads, Bristol board or cartridge paper. The colours are still vibrant and the quality of line still brilliant, of course. However these kinds of papers have a more absorbent nature and haven't been specially prepared or coated, so you won't be able to blend the colours like paint. So here at Cass Art we advise that you trial them on any of the suggested surfaces above, or indeed the specially formulated paper, for best results. You can buy the Winsor & Newton Pigment Markers now online - they will be available in Cass Art shops very soon. Shop for different surfaces online so you can draw, blend and paint with these revolutionary new markers.